Pfc. Henry B. Jensen, son of Mr. and Mrs. Jens Jensen, attended school in New Effington, S.D. 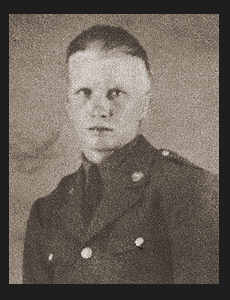 Entered Army in Jan., 1941, trained in Camp Barkeley, Texas; served in Africa, Sicily, Italy, France and Germany; was discharged in Oct., 1945; was wounded in action in Nov., 1943 in Italy. Awarded EAME Ribbon with two Battle Stars, Silver Star, Good Conduct Medal.